This is the brand new Porsche 911 Coupe. 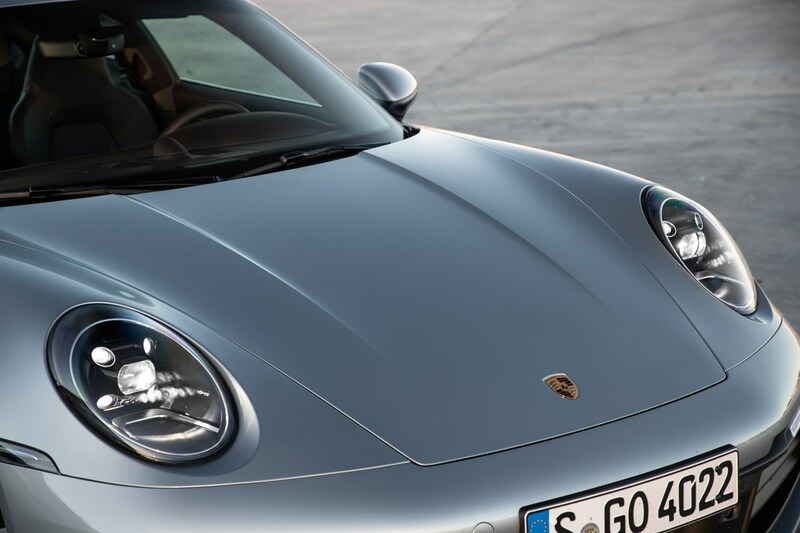 This famous sports car is now in its eighth generation, and while its looks haven’t changed a huge amount compared with the previous version (dubbed 991 by Porsche), this new 992 model is a better car in several respects. The Mk8 911 faces its traditional foes of the Aston Martin Vantage, Audi’s R8 Coupe, Ferrari’s 488 and the Lamborghini Huracan, although none of those features the Porsche’s historic rear-engined layout. Here we’re testing the Carrera S and four-wheel drive 4S – the only two versions available at launch. The Coupe range will be topped and tailed by ‘regular’ Carreras, as well as more powerful GTS, Turbo, GT3 and GT2 versions – but some of those won’t make an appearance until the early 2020s. Similarly, the Coupe won’t be the only bodystyle on offer, with replacements for both the 911 Cabriolet and 911 Targa in the pipeline. As with all generations of 911, the latest model has a pair of small rear seats that can be folded over to boost its luggage-carrying ability, while the styling gives a mild update to themes from the outgoing model, even though the bodywork is fresh. The newcomer’s recessed continuous LED light bar and electric pop-out door handles look particularly slick. 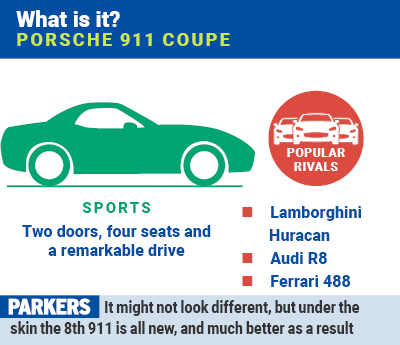 What’s the 2019 Porsche 911 Coupe like to drive? This is a crucial question with a new 911, and the answer is that it’s better than ever before. Given that there will be significantly quicker versions of the eight-generation Porsche 911 Coupe to come, you’d be forgiven for imagining the launch-spec Carrera S and Carrera 4S might not be all that fast. Not a bit of it. Porsche has tweaked the twin-turbo, horizontally opposed six-cylinder engine (think of it as a V6 with a 180-degree arc between the cylinder banks) to produce a rude 450hp, representing a 30hp increase. This inevitably makes the new models quicker than their immediate forebears. 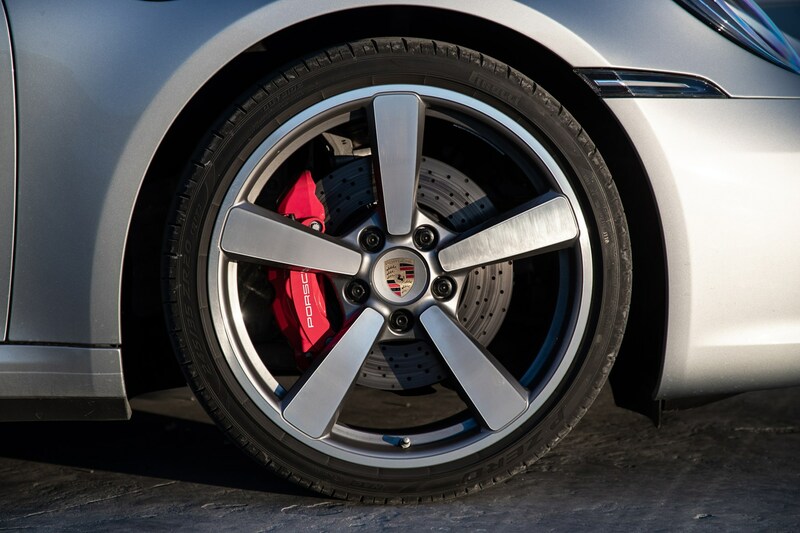 Both versions complete the 0-62mph acceleration sprint 0.4 seconds faster than their predecessors: the Carrera S requires a scant 3.7 seconds for the benchmark, the additional four-wheel drive traction of the 4S shaving 0.1 seconds off that. 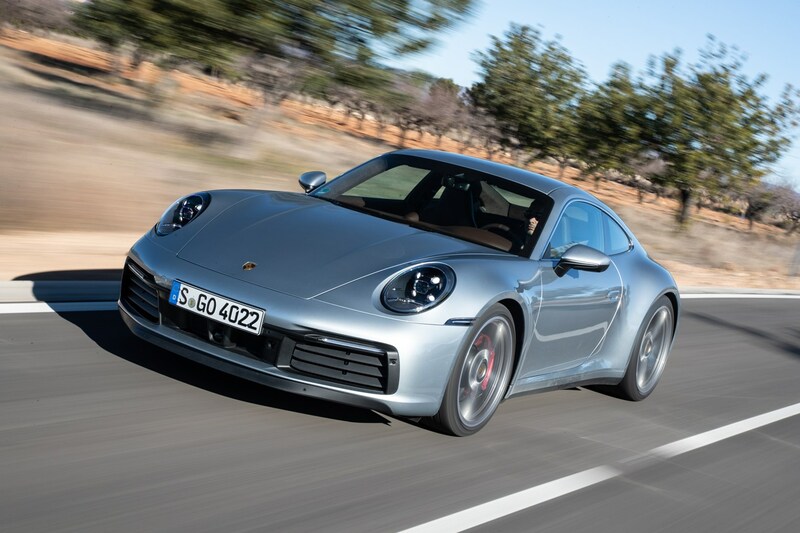 On the road even the base-spec Carrera S feels noticeably faster than the previous 911, and furthermore the motor is far more flexible at lower speeds, with the new eight-speed automatic gearbox almost faultless in its operation. 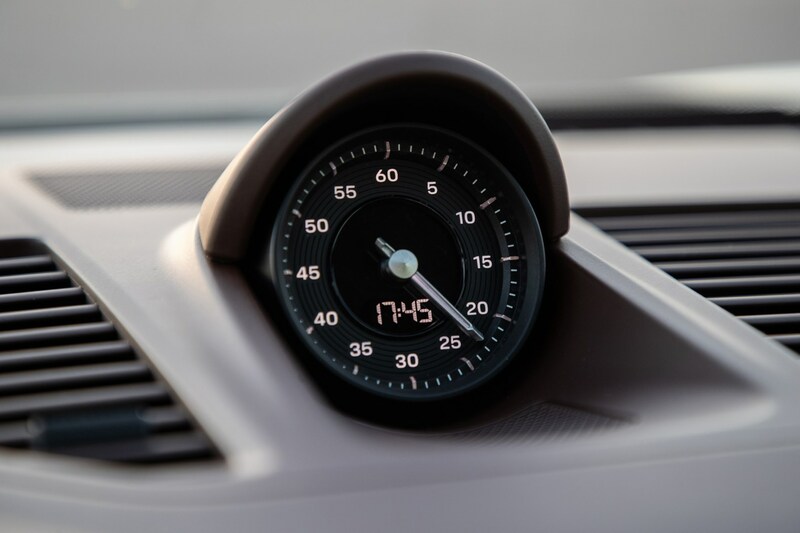 First gear is shorter than before for rapid acceleration, while seventh and eighth are overly long, meaning this car will be kinder on fuel economy at motorway pace. The engine sounds very turbocharged, with the associated whooshes and whines that come when you’re forcing compressed air into cylinders. It doesn’t sound as good to our ears as motors without turbos, but it’s interesting and distinctive all the same. Opt for the extra-cost Sport Chrono Package and you can slither a further 0.2 seconds from both of those 0-62mph times. Top speed for the Carrera S is 191mph, while the slightly heavier four-wheel drive Carrera 4S tops-out at 190mph. In spite of that rapidity, Porsche’s official claims are that the new 911 Coupe will return between 31.4 and 31.7mpg depending upon the model, with CO2 emissions between 205 and 206g/km. 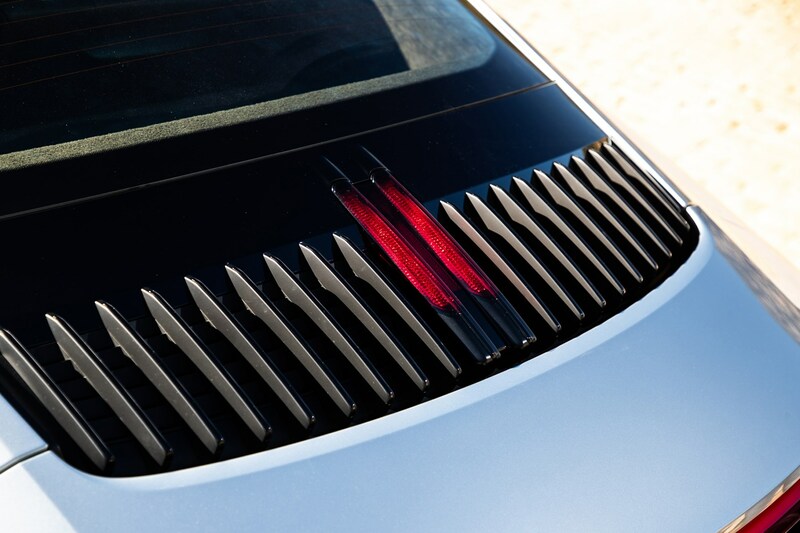 Again, Porsche has pulled off an impressive trick here. The new 911 handles like the previous GTS version, with huge levels of grip and excellent feedback through the steering wheel. The steering itself is quicker, making the car feel nimbler. Adaptive suspension is standard, meaning the ride quality when not in Sport or Sport+ modes is exceptionally well resolved. And despite the fact that our test car was crammed with tech such as rear-wheel steering (£1,592) and active anti-roll bars (£2,773) along with standard torque vectoring, this new 911 feels natural to drive. That’s no mean feat in itself. 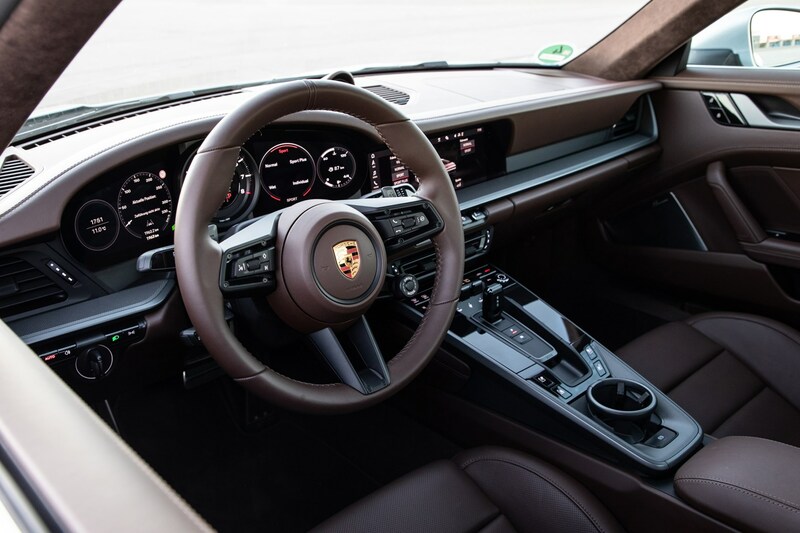 Porsche has seen fit to install a Wet mode to the new car too, which turns down performance and hikes up the stability control system’s intervention to keep the driver safe when the heavens open. What’s the 2019 Porsche 911 Coupe like inside? Technology marches on and has swept the 911 along with it. This is immediately obvious in the cabin, where an analogue rev-counter is flanked by a pair of adaptable screens, while the multimedia system is controlled by a 10.9-inch touchscreen. We felt the screen was one of the few weakpoints with this new car. 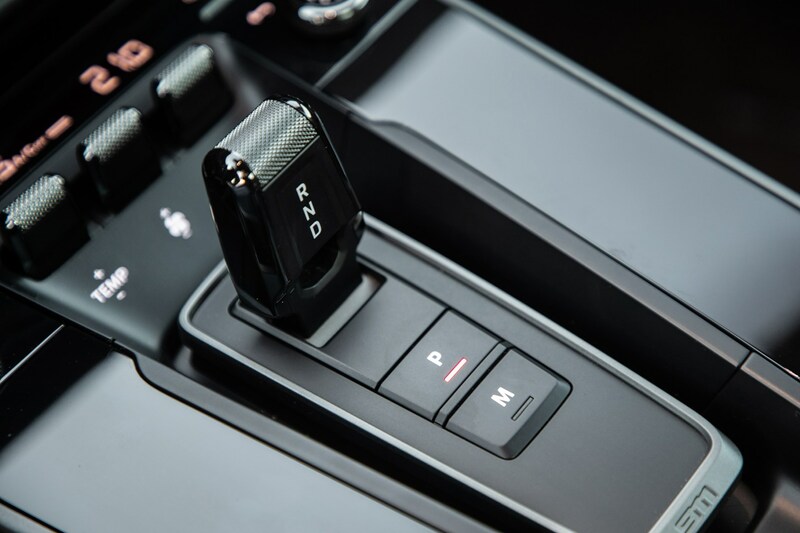 Its menus aren’t intuitive enough, and can’t display all its main functions in one go, meaning you need to scroll – something you don’t want to do while driving. Will there be an electric version of the new Porsche 911 Coupe? Yes, we’re expecting a plug-in hybrid version of the Mk8 911 to join the range within a couple of years of launch, given Porsche’s expertise with E-Hybrid versions of both the Panamera luxury saloon and Cayenne SUV. 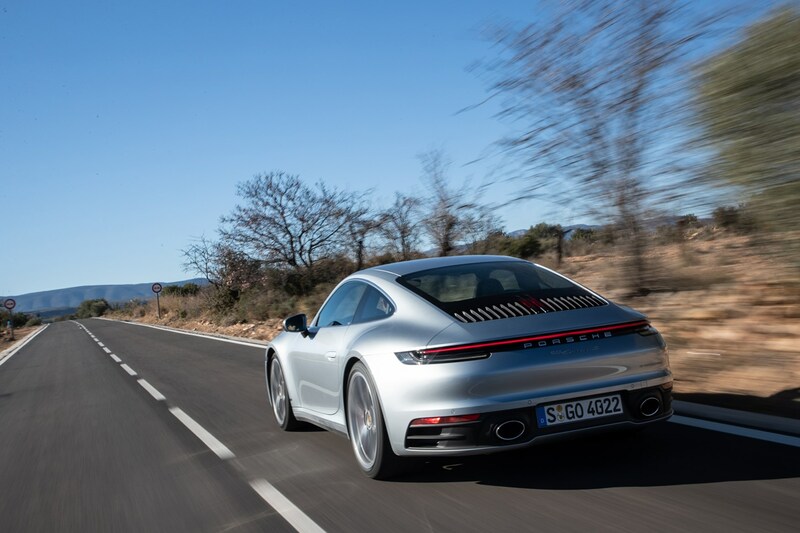 It’s theoretically possible – but unlikely at this stage – that a fully electric 911 could form part of the range later in the model’s lifecycle proving Porsche doesn’t feel it will negate from the sports car range’s overall appeal. Porsche is producing an electric-only model, the Taycan, a four-door sports coupe set to go on sale in 2019. How much does the 2019 Porsche 911 Coupe cost? Two versions of the Porsche 911 Coupe are available to order immediately, although you’ll be waiting until spring 2019 for delivery. Costing £93,110 is the Carrera S with PDK transmission, while the four-wheel drive Carrera 4S PDK weighs in at £98,418. Both of those figures are before you start perusing the extra-cost options list. The new 911 is astonishingly good. The German firm has managed to retain most things we loved about the previous car, and honed its manners and usability to make the eighth generation and even better all-rounder. Keep an eye out for the full 2019 Porsche 911 review once we’ve driven it in the UK.